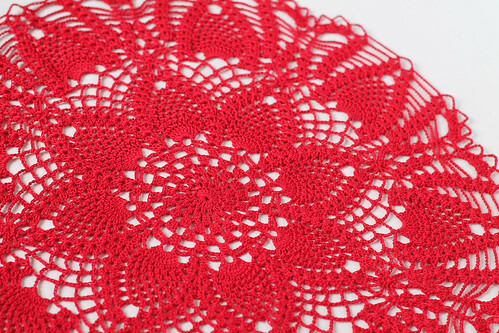 Here's another doily I've finished recently... I just love this red (thanks again Sarah!)! I have a thing for vintage patterns... I just love the idea of making something that someone else made exactly the same way 100 years ago or so. 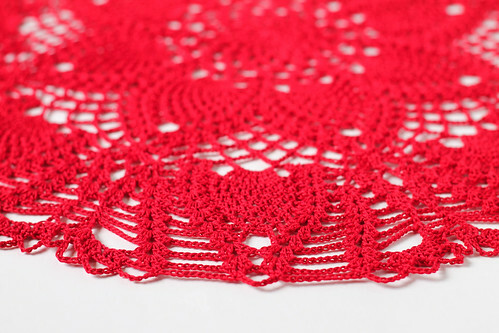 Anyways, you can find the Pinapples Large and Small Doily Patterns for free! The pattern makes two sizes. I originally was going to make the smaller size, which finishes in a star shape, but it looked like I had enough thread to finish the larger size! It used almost the whole skein of Aunt Lydia's size 10 (in Victory Red). I used a 1.65mm hook, which is my usual go-to hook with size 10 thread. It definitely needed to be blocked out once I was done and it took a little bit of stretching and pinning. But I love how it turned out! I thought it was a fairly easy pattern, and was mostly double crochets. If you want to give this one a try, especially you dc lovers out there, check out the pattern HERE! Oh wow, that is pretty! I'm not usually into red, but that looks fantastic! 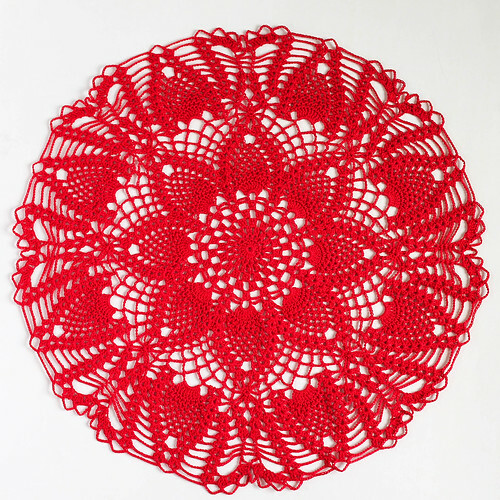 I just love seeing the doilies you make here. Gosh, I can't keep up! LOL I think I'm only on round 13 of the other one! Incredible, Kate! You're such a fast and precise worker, especially with such a fine hook and thread! That red is so alive and vibrant! Well done for your beautiful work! Wow, Kate! 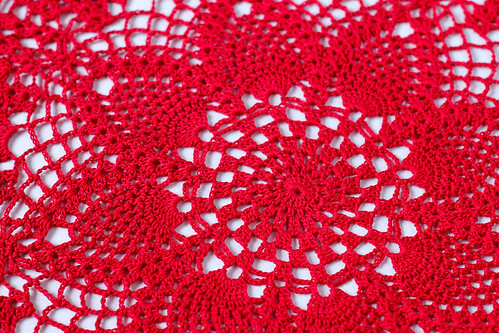 That's a beautiful doily - and what a gorgeous shade of red! So beautiful! I would not have selected red, but it really shows the pattern so well. And looks so great.